Pleasure is the only keyword with Tiwal 3! Assembling your Tiwal 3 is child’s play. 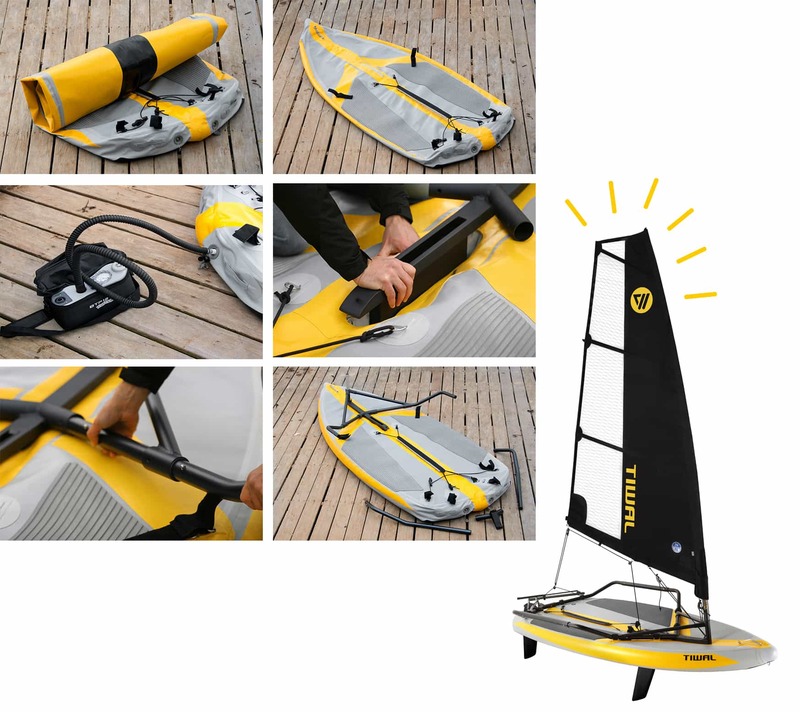 Few parts, very easy assembly, parts that fit together smoothly and accurately, high-quality finish… In the time it takes to say it, you’re already in the water! 1. 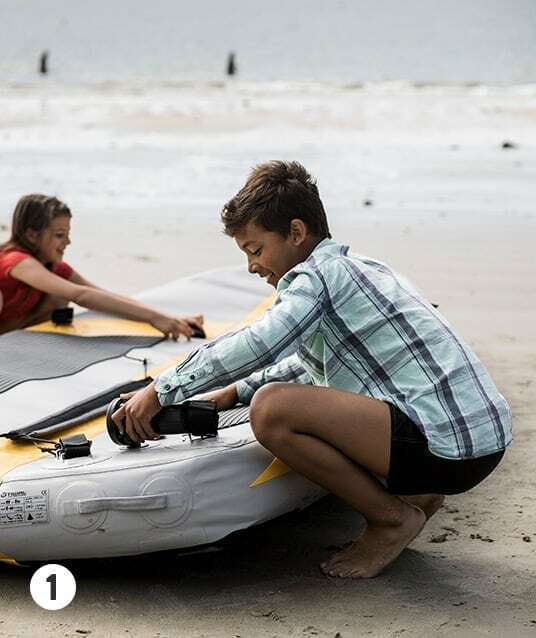 Partially inflate the hull using the low-pressure electrical pump (included with each boat). 2. Install the daggerboard case in the hull. 3. Assemble the framework. In just a few clicks, all the elements fit together easily. 4. Attach the framework to the hull using the hook & loop straps. 5. Complete inflation using the manual pump (included in your pack) to reach a pressure of 11 psi (0.75 bar). 6. Assemble the 5 pieces of the mast, pull the sail onto the mast and attach everything to the framework. 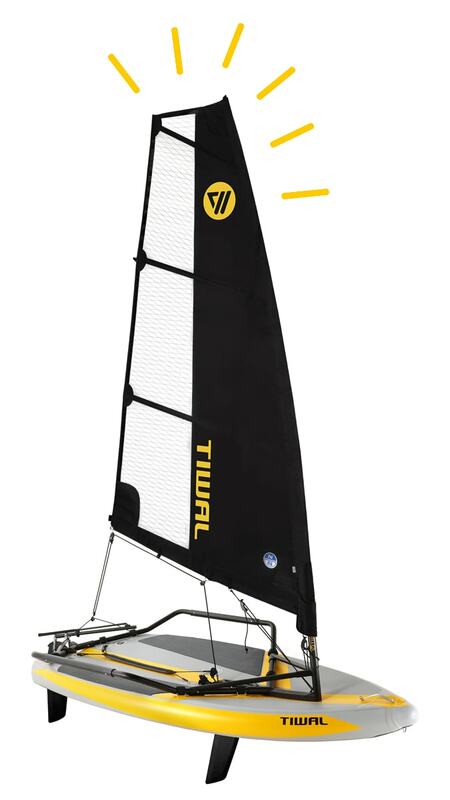 The Tiwal 3 hull is inflated in 2 steps. 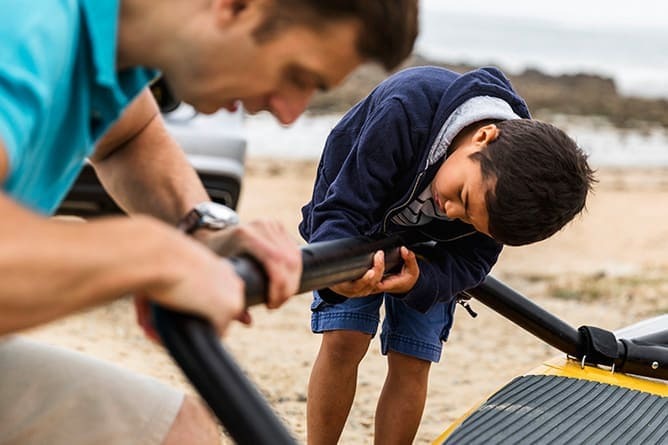 Firstly using the low-pressure electrical pump, enabling you to install the framework, the daggerboard case and the mast, without forcing anything. 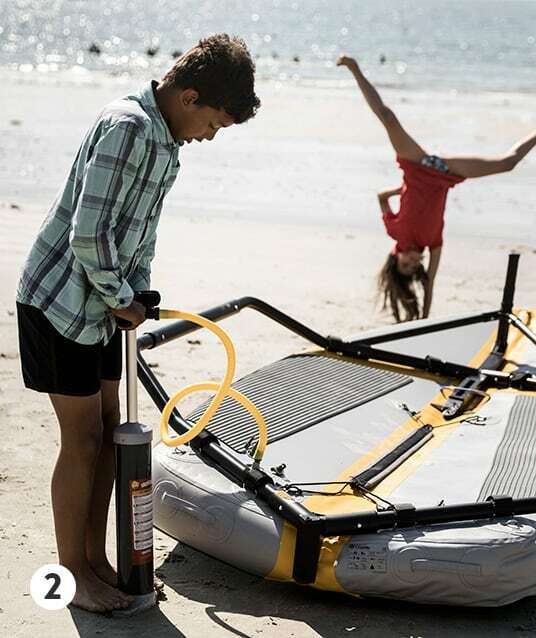 The low-pressure electric pump (included with the boat) can be charged on the mains electricity. Then use the manual high-pressure pump (included with the boat) to reach the required pressure for perfect inflation of the hull. 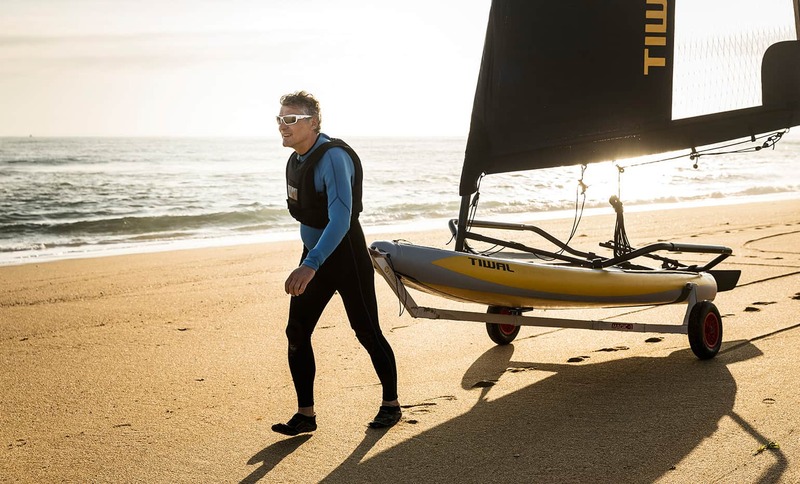 If you prefer to save your energy for sailing, a rechargeable high-pressure pump is available as an option. 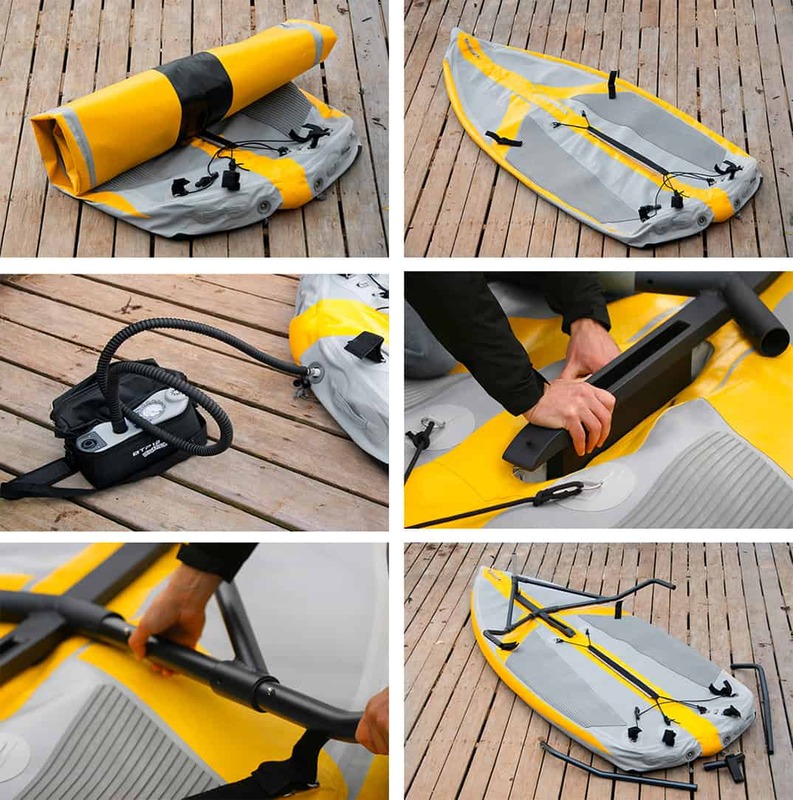 It can be used to fully inflate the hull without using the manual pump. 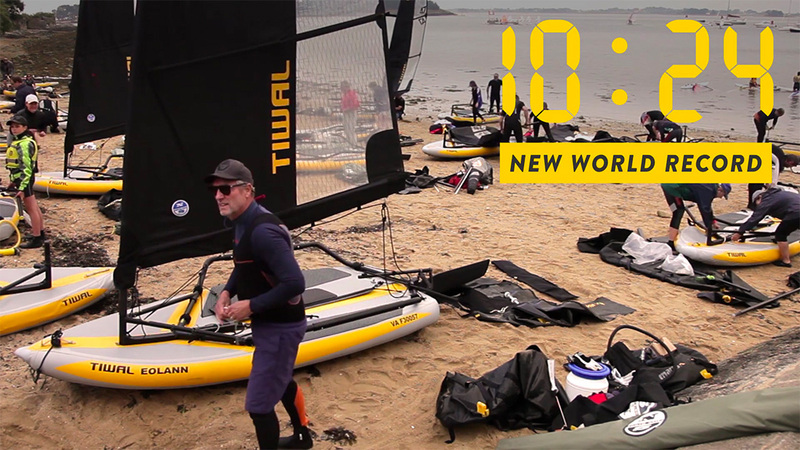 Tiwal 3 can be dismantled and tidied away in 20 minutes. When you store your boat for a long period of time, you should rince all parts in freshwater and allow them to dry before storing it in the bags.